More than 50% of men older than 50 all over the world experience the annoying hair loss problem. The saddest part is most of the attempts to combat hair loss are worthless. As per hair experts, most of the commercially available products even don’t do what they claim. There is huge misinformation out there about hair loss and its prevention. 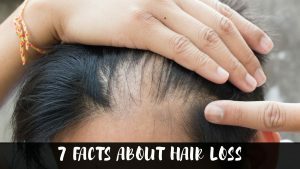 To ensure you don’t get trapped spending bucks on expensive hair loss products and availing no results, we have dig out some truths and facts about hair loss that you must know. Just check them out below! Fact – Hair restoration surgeries have always been controversial. While some believe them as life transforming, for most others they are unattractive, artificial, and cornrow procedures. According to experts, hair restoration surgeries are great to get that natural hair look back. But just make sure you get it done by skilled and experienced professionals as it is not a simple task. Fact – If you are in a belief that your baldness is a gift from people belonging to your mother’s side then you need to think about it again. It is a scientifically proven fact that baldness results from our lifestyle and genes from both sides of the family. So, if your mother’s side or your father’s side has a hair loss history then even you can become a victim of this problem. Fact – This is one of the biggest myths I have heard! Pulling out hair, either white or black, from same hair follicle can result in traction alopecia. It is a situation where plucking results in damage and scarring of the hair follicle. As a result, that hair follicle stops producing new hair. So, rather than new hair growth, pulling out on a regular basis can make gray hair go away. 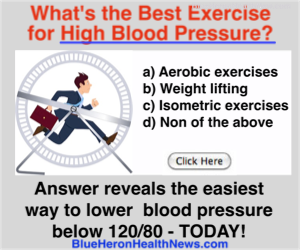 Fact – No matter what type of health problem you are experiencing. Most of the health experts blame it on stress! But let us make it clear to you that stress is actually a not factor for hair loss. It holds true only if the stress is extreme. For example, most women suffer from hair loss after giving birth. Even some people may experience hair loss after a major accident. Keeping asides such stressful factors, there is almost negligible chance that stress may cause hair loss. Fact – Natural supplements can always reduce the problem, but they cannot cure it completely. Experts have used and tested various natural supplements to fight hair loss, like saw palmetto, stinging nettle, and pygeum africanum. But studies have proved that such supplements can reduce DHT but are not supportive to beat hair loss problem. Even there is no clinical data that supports any such fact! Fact – Rogaine also known as minoxidil is a foaming lotion and is among few anti-balding solutions that actually work, but not for everyone. It is effective and has delivered results in 30% of men. The best thing is that it does not cause any side-effects and can be applied twice a day. It works by making hair follicles better and stimulates the hair growth. Still, more research is needed on this. Fact – In most men, hair loss occurs because of miniaturization. The process occurs when hair follicles are disturbed because of DHT or dihydrotestosterone and grow for shorter durations, appearing very small and weak. So far, there is no remedy discovered to prevent hair loss. According to hair experts, the only way to combat miniaturization is by seeking early intervention. However, there are very few things that men can practice to prevent baldness. Once it begins the only way out is to treat it. Hair loss is a big problem. But make sure you don’t get trapped with these myths as this is only going to make the problem worse and is only going to waste your time and efforts. Yuan Chen is a Manager at T1Hairs - Online Brazilian Hair Extensions Company. He has more than 6 years of experience in Hairdressing Industry and has a good reputation in this field. This entry was posted in Good Health and tagged Facts, hair loss, myths, tips. Bookmark the permalink.